Centric has announced its fall 2011 schedule and they will be adding two new additions to its line-up. First, The Wayans Bros. will join the schedule starting today! The '90s comedy is being borrowed from another Viacom-owned network, MTV2, so it is really not a new acquisition. The comedy will air weekdays at 1:00pm & 1:30pm, along with a late night airing at 11:00pm & 11:30pm. The new acquisition will be veteran '80s comedy 227 starring Marla Gibbs. 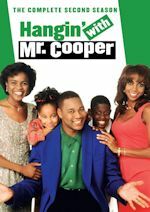 The sitcom will air weekdays at 11:00am & 11:30am starting Tuesday, Oct. 11, 2011. 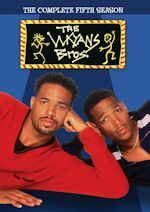 The Wayans Bros. and 227 will air on an impressive schedule with lots of classic series. Kicking the weekday schedule off will be Homicide: Life on the Street at 6am, followed by The A-Team at 7am and Miami Vice at 8am. Then after a music break from 9am-11am, 227 will air in the 11am hour. Sister, Sister will air in the hour until 227 launches. Airing in the noon hour will still be Sister, Sister. As we mentioned, The Wayans Bros. will air at 1pm, followed by The Jamie Foxx Show at 2pm. 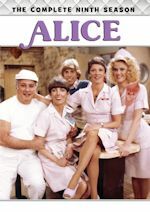 At 3pm, the afternoon movie will air, before sitcoms return in early evening. Back-to-back episodes of Girlfriends will air at 5pm, followed by an hour of The Steve Harvey Show at 6 and The Jamie Foxx Show at 7pm. In primetime, The Cosby Show remains at 8pm, but the 9pm hour will now have Girlfriends. At 10pm, In Living Color will air leading into the late night block of The Wayans Bros. at 11pm, The A-Team at 12am and The Cosby Show at 1am. At 2am will be the late movie leading into Sister, Sister at 4am and The Unit at 5am. Weekends will have marathons, as this coming weekend (Oct. 8-9) will have a marathon of classic Soul Train on Saturday from 12pm-6pm. But that's not the big gun this weekend, as Centric will air non-stop The Cosby Show starting at 7pm on Saturday through 6pm Sunday! From 6-8pm on Sunday they will air the 2002 reunion, The Cosby Show: A Look Back. This is not a weekend, but on Columbus Day (which is next Monday, Oct. 10), Centric will present a Columbus Day marathon of The Proud Family from 9am-9pm. And finally on Saturday, Oct. 15, Centric will air a marathon of Sister, Sister from 11am-6pm. So there you have it, the Centric Fall 2011 schedule at last. We were just waiting for 227 to be scheduled, as we knew it was acquired, but now it has a timeslot. 227 also airs on cable on GMC (weeknights at 11pm), so it will be a shared deal. The AmericanLife TV Network has re-branded itself again. Now they are known as YouToo Social TV, as of last week. They have added a few series from 20th Century Fox to its line-up. The court series Texas Justice airs weekdays at 7am and 12pm. The classic '60s Batman is now airing on YouToo airing weekdays for an hour at 1pm, 4pm and 11pm. Fellow '60s series The Green Hornet airs weekdays 2-2:45pm, 5-5:45pm, and 10:15-11pm. Perhaps their biggest series airing is The X-Files, which is airing weekdays 2:45-4pm, 5:45-7pm, and 9pm-10:15pm. The X-Files also is on weekends: 2pm-3:15pm, 8:30-9:45pm and 10:45pm-12am. It's an episode each in these blocks, so the weird airtimes doesn't mean it is unedited, but they have some time for social TV. Airing during these reruns, they will ask viewers to submit videos responding to questions during breaks produced by Mark Burnett and hosted by X-Files' Lone Gunman Dean Haglund, onetime American Idol contestant Mikalah Gordon and others, reports USA Today. So now you can get yourself on TV by submitting answers via video during these programs. 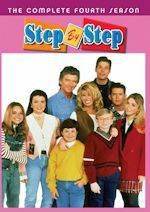 Let's hope they add more classics to the schedule, as a sitcom would be nice to have viewers submit videos and answer questions. Stay with us for further updates on YouToo Social TV (formerly known as AmericanLife TV).